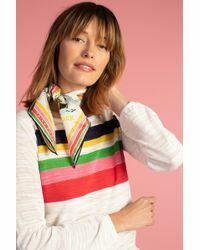 Initially only creating womenswear and later branching out to produce ready-to-wear accessories, Californian label Trina Turk is loved all-over the world for its stylish and vibrant pieces that embody a laid-back Los Angeles look. 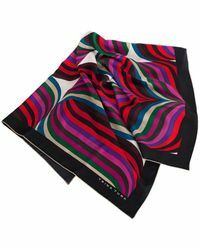 Trina Turk herself founded the namesake label in 1995 with her husband Jonathan Skow. 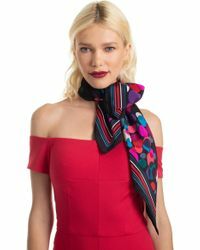 Trina Turk scarves are the perfect piece for next season. 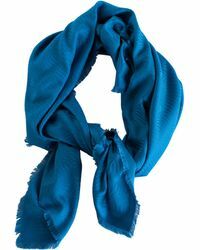 Well known for their relaxed style and geometric prints, each scarf flaunts a flawlessly feminine aesthetic. 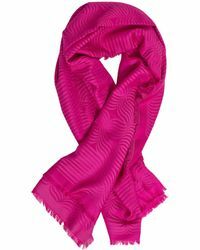 Endlessly elegant, each Trina Turk scarf will transcend seasons.